You can give fiddly streaming software the boot. YouTube has made livestreaming easier for everyone by allowing us to broadcast directly from a web browser. Chrome now lets you “go live” with nothing but a webcam — and support for other browsers is coming soon. It’s going to get a lot easier to livestream from your smartphone, too, unless you use an iPhone. Livestreaming from a desktop or mobile device usually requires some kind of broadcasting software. But if your chosen livestreaming platform is YouTube, that’s no longer the case. It’s as easy as that. You don’t have to fiddle around with streaming software or do any additional setup. You just need a webcam, a microphone if you want to deliver better audio, and Google Chrome. And don’t worry if you use another browser. YouTube promises that livestreaming support is coming to other browsers later — and to mobile devices, too. Select handsets from Asus, LG, Motorola, Nokia, and Samsung (not Apple) will also have the ability to broadcast from Chrome without the need for other software. 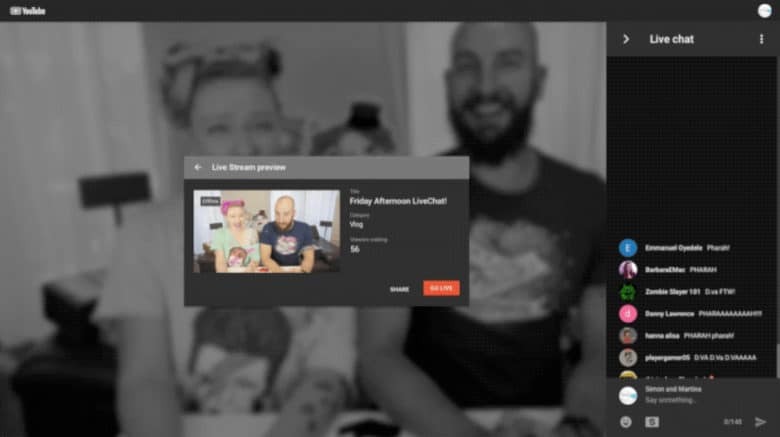 Features like this, which make livestreaming accessible to everyone, could help YouTube in its fight against the ever-increasing popularity of Twitch. But it will need to do better if it wants to appeal to gamers, who are the reason why Twitch has become top dog. If YouTube could give Chrome the ability to also stream a feed from another app, or from a video capture card, it would be huge. Sadly, there’s no word on that happening just yet.